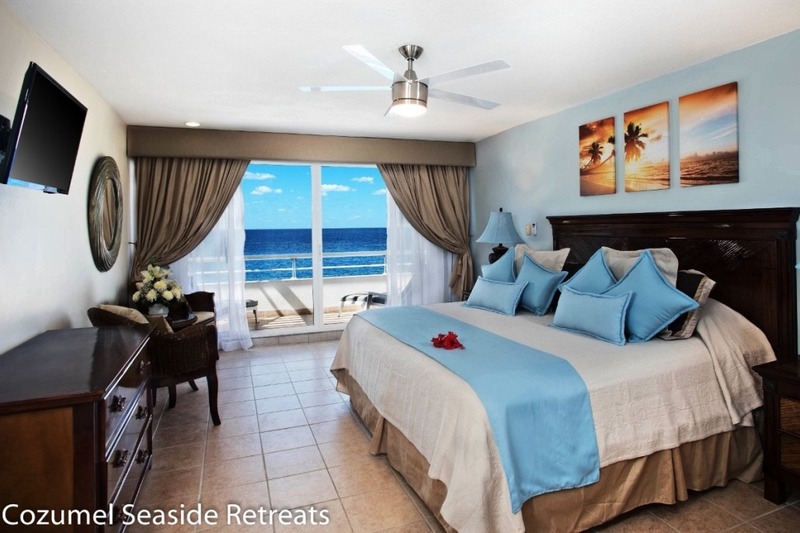 Escape the crowds of the hotels and relax in your very own direct Cozumel Ocean Front Condo. With easy access to Cozumel town, excellent offshore snorkeling and fabulous sunsets over the Mexican Caribbean, Miramar Condominiums makes the perfect retreat for your holiday. Unlike many high rise complexes in Cozumel Island, Miramar Ocean Front Condos with just 12 units, has a wonderful intimate atmosphere where you can relax in peace and quiet by the ocean front swimming pool. Outdoor amenities include 60 foot long infinity pool at the ocean edge, Jacuzzi tub, sundeck, poolside BBQ area and tropical gardens. The kids (both big and small) will love the ocean side diving platform. For those less adventurous there is easy ladder access to the ocean. Maid service is provided every other day; Spa service and cook service is available on request.